NCBPA is proud to share these stories of our hard-working member companies and professionals that improve the performance of NC’s homes and buildings every day. Here, member professionals tell their stories about getting started, what market barriers they struggle with and share their most successful projects to date. Want to have your story heard? Contact us! 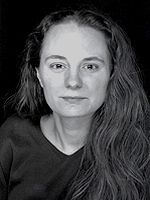 Click here to read NCBPA’s Q&A with Rachel Dodgen. 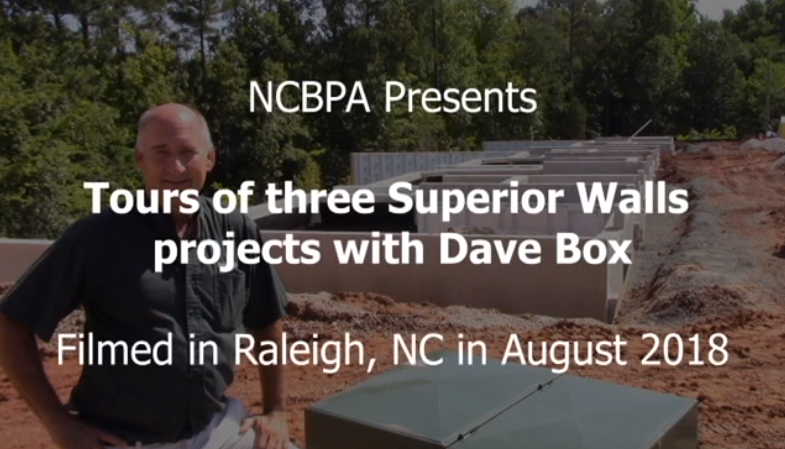 Join Dave Box of Superior Walls for tours of a church project, single family build and townhome project in Raleigh, NC. Filmed in August of 2018, this video provides builders, consumers and contractors with helpful information on high performance construction techniques using precast concrete walls from Superior Walls. Learn more about Superior Walls here. Click here to watch our video tour with Superior Walls! 7:50 – What help is needed to improve the market for high performance homes? What’s a Passive House? Find out in this video interview and tour filmed in August 2018! 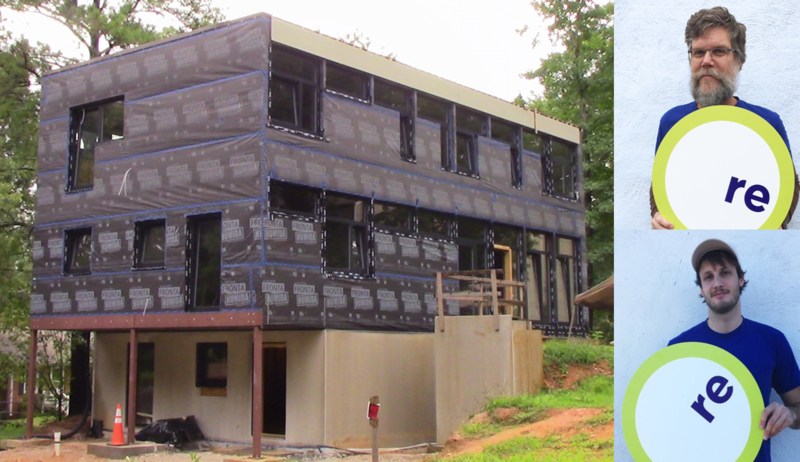 Member company REdesign.build is midway through the first of four single family Passive House builds in Raleigh, NC. 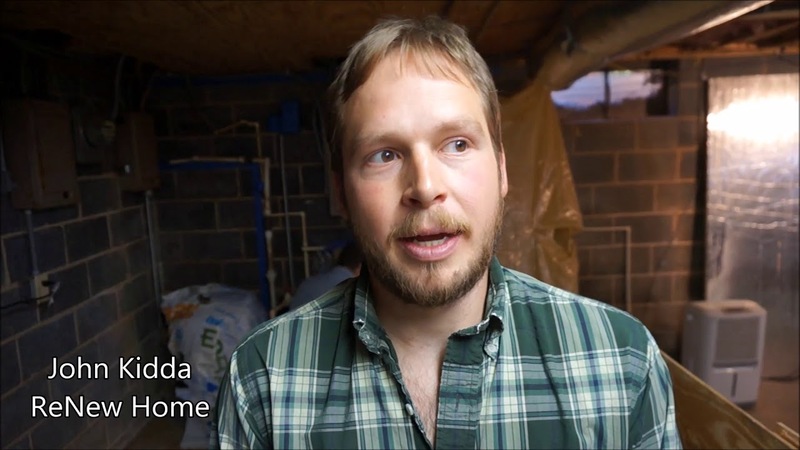 In the first part of this video, owner Will Alphin talks about the reason his company chose to build a spec Passive House, describes the challenges his team encountered along the way and shares what he thinks all builders can learn from going Passive. In the second part of this video, Dylan Buonfrisco provides a highly technical tour of the home’s foundation, interior walls, mechanical system, air sealing measures and much more. Learn more about REdesign.build here. Want to know more about Passive House? Want to see one being built? Watch this video interview to find out! 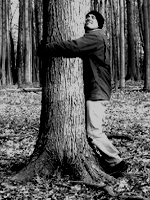 And, if you’d like more information on Passive House, contact NCBPA! Click here to watch our video interview and tour with REdesign.build! 3:41 – What’s been the learning curve with Passive House? 6:04 – What can other builders learn from it? 19:28 – How efficient is the water system? 22:52 – What’s your strategy for efficiency and renewables? 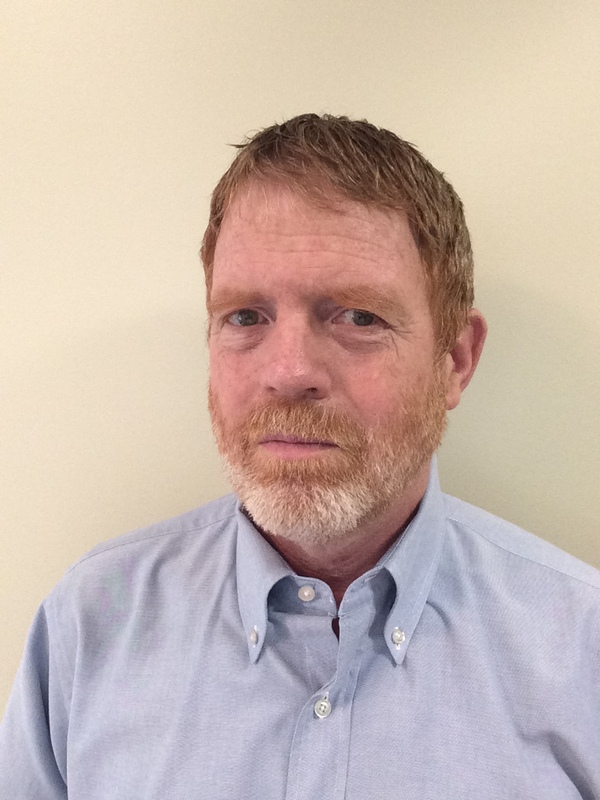 John Kidda is the Founder and Principal of reNew Home, a home performance contracting company based in Boone, NC. reNew Home helps homeowners and builders diagnose, test and improve energy and performance issues in new and existing homes. John is a talented building scientist who received his Sustainable Development degree from Appalachian State University in 2008 and began working as a Technical Program Manager at the start of the American Recovery and Reinvestment Act of 2009, which provided federal funding for energy efficiency and home performance job training and weatherization programs. Four years into his career, John formed reNew Home and has been helping homeowners and builders save energy and improve home performance ever since. In this interview filmed in early 2018, John describes how he started in the industry, what his company needs to be more successful and provides advice to students and young professionals looking to join our industry. Learn more about John’s work at www.reNewHomeInc.com/home.html. Click here to watch John’s video and learn more about his work! 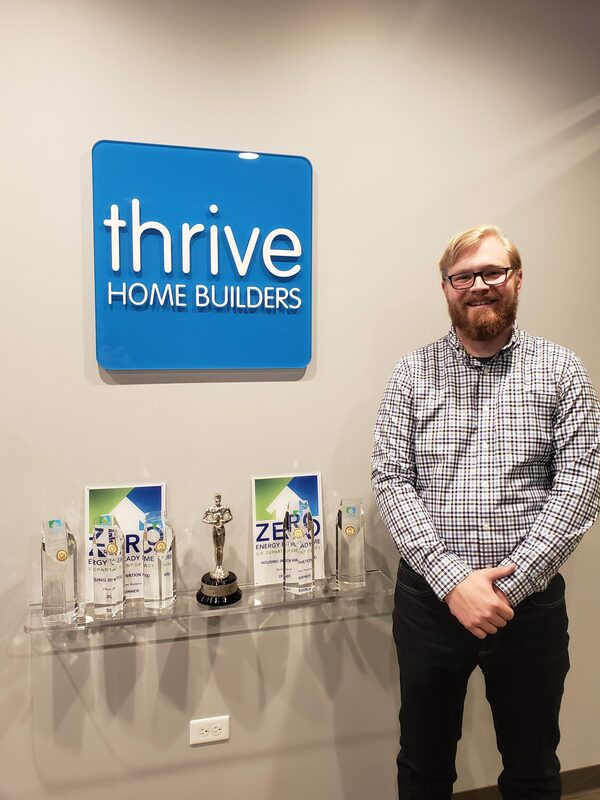 Nathan Kahre is the High Performance and Healthy Home Manager at Thrive Home Builders in Denver, CO, awarded Builder of the Year for 2017 by Builder Magazine. Nathan received his industry education at Appalachian State University in Boone, NC, where he obtained a Masters of Science with a dual concentration in Building Science and Sustainable Building Design and Construction. Watch this video to learn how Nathan got started in the industry, what he enjoys most about his job and to hear what advice he has for students and young professionals considering a career in building performance. 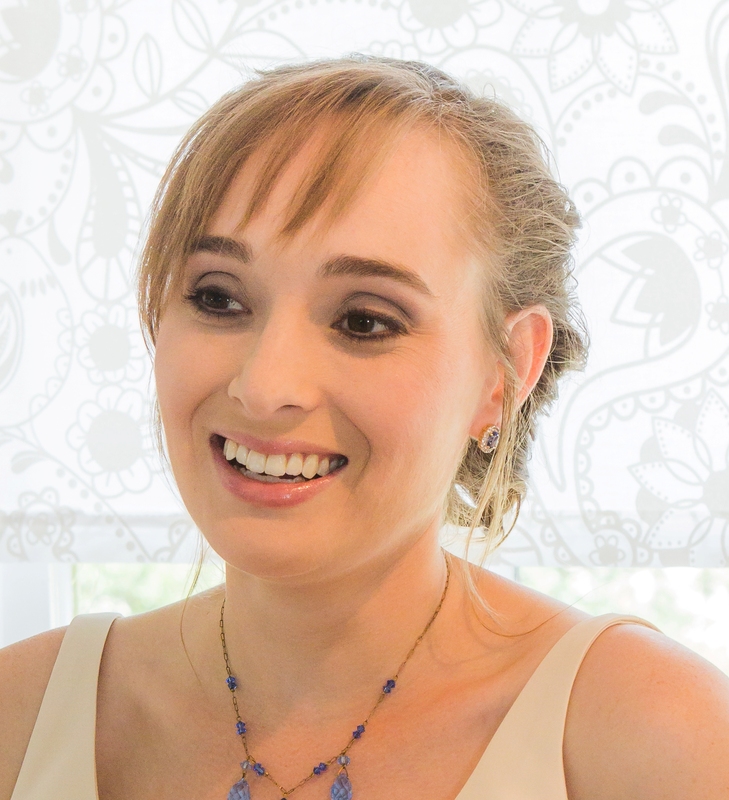 Amy Musser and Matthew Vande are co-owners of VandeMusser Design, PLLC located in Asheville, NC. VandeMusser Design provides technical consulting and certification services for green residential construction to builders, architects, developers and homeowners in Western North Carolina, Tennessee, Virginia, South Carolina and Georgia. 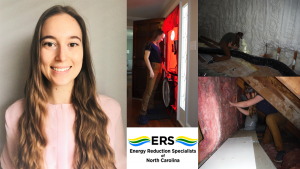 Amy and Matthew are architects, engineers and home energy raters that work with clients to design, build and retrofit single and multifamily homes to energy efficient, green and high performance certification programs. In this interview filmed in early 2018 in Asheville, NC, Amy and Matthew answer questions about how they got started in the industry, what high performance homes will look like in 2030 and also offer career guidance to students and young professionals interested in joining our industry. Find more information on their company at www.VandeMusser.com. Click here to watch their video and learn more about their work! Meghan McDermott and Francis Conlin, Co-Owners of High Performance Building Solutions, are building science consultants, engineers, educators and expert problem solvers that diagnose performance issues in new and existing multifamily, commercial, governmental, public and institutional buildings. They make buildings behave all across the country. In this interview filmed in early 2018 in Durham, NC, Meghan and Francis answer questions about how they got started in the industry and what building owners don’t know about their buildings, and also offer career guidance to students and young professionals interested in joining our industry. Find more information on their company at www.hpb-solutions.com.